Rock Island, Illinois is a city of about 40,000 people in the Quad Cities area. The city is home to the Rock Island Arsenal, which is the largest government-owned weapon manufacturing arsenal in the country. Built on the river, Rock Island is a thriving community of several businesses and great neighborhoods. Named one of the top 10 most exciting places in Illinois, Rock Island has much to offer. You will find a booming downtown as well as secluded woods and scenic biking routes. There are plenty of theatres, coffee shops, restaurants, art galleries, and festivals to keep you entertained. Rock Island is also home to the Quad City Botanical Center and a beautiful marina where you can take a boat out onto the Mississippi River. Quality: Greiner Buildings always does the best quality work imaginable. As national award winners for building, our post frame constructions are tough to beat. 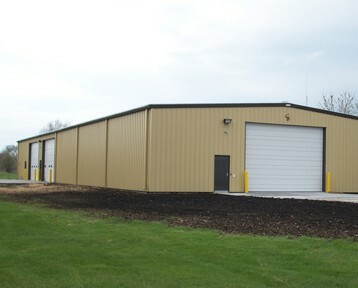 Versatility: From custom homes and barns to animal sheds to hobby shops to storage units, Greiner Buildings can do it all. Post frame construction allows for great versatility, you can make any add-ons with ease. Speed: The building of your dreams won’t take long to construct! Post frame construction can be done quickly and efficiently, saving you costs on labor. Energy Efficiency: Post frame and pole buildings are designed to provide maximum insulation and ventilation. This will increase the energy efficiency of your building, saving you money in heating and cooling costs. Affordability: If you are on a budget, consider a pole building! Wood materials are much more cost effective than steel materials. Long life: Our safe and durable buildings will last you for years to come. Not only are we experts in construction, but we also have a professional team of building designers and repair specialists. Greiner Buildings can guide you through the pole building process from start to finish. We’re not done until you’re completely satisfied with your product. For all of your post frame construction needs in Rock Island, IL, be sure to contact Greiner Buildings.